Google Riding the WAVE to Integration? Google recently released news that they are working on a new communication module that integrates several of their service offerings. Individuals can communicate and collaborate with formatted text, photos, videos, map, and email to name a few. Participants within conversations can communicate anywhere within the message, edit content, and add other people to the thread. The best part about Wave is that all transmissions are recorded in real-time. Other functionality includes the ability to embed Wave content on any blog or website, application and extension development, and an open source API to name a few. Information is still very scarce on this new project but two great sources are the official Google Wave Page and an article from Mashable that breaks everything down from the hour long presentation given by the Google team. 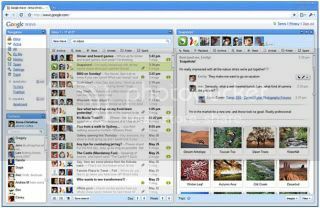 Overall this tool is very intuitive and will drastically change the way the world looks at e-mail and instant messaging. Its impact on the world of online marketing is still to be seen due to this product’s infancy. For marketers and developers it will open up a whole new world to effectively promote products due its ability to be customizable, similar to mobile iPhone and Facebook applications. However, one thing to note is how this will affect other Google application like Gmail, Picasa, and Friend Connect as these all could potentially be replaced by Wave. This could be a concern for some Google users. 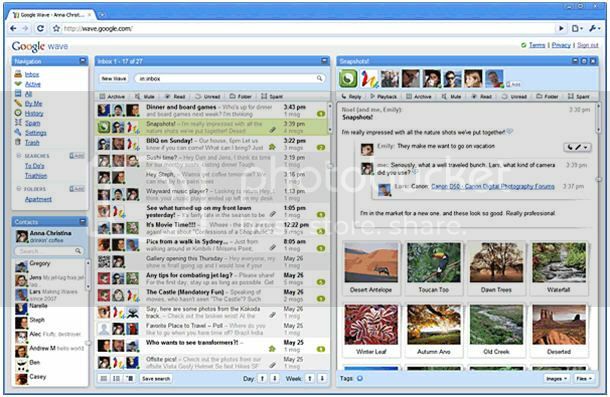 Google Wave is scheduled to be released in late 2009, and is now accepting signups for updates and beta testers.